For many people, when you hear about workplace injuries, your mind likely goes to physical or labor-intensive industries such as construction, mining or industrial work. The fact, however, is that a workplace injury can happen anywhere and to anyone. Workplace injuries can even happen in professional positions at a dental office. According to a recent article in Dental Economics, one of the primary causes of injury in a dental office is needle wounds. Our Boston workers’ compensation attorneys urge everyone working in a dentist office to be aware of the risk of needle sticks. We also urge dentists and care providers to ensure they have created a safe working environment for their employees. Dentists typically have multiple people in the office who work with patients, including the dentist themselves as well as hygienists and dental assistants. Many of those who work with patients are asked to use needles to provide injections to patients. For example, most patients who have fillings put into their teeth have a local anesthetic administered via an injection to the mouth. 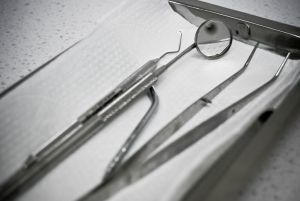 Unfortunately, many of those who work in dental offices are finding themselves facing injury as a result of the widespread use of needles and other sharp tools. The full number of people who suffer a workplace injury due to a needle stick or sharp object in a dentist office is not known because there is no surveillance system that gathers data from private practice dental offices. However, according to Dental Economics, CDC estimates indicate that hospital healthcare workers in the aggregate suffer 385,000 needle stick injuries or other related injuries from sharp objects. This means that each day an estimated 1,000 healthcare workers in hospitals experience an injury due to a sharp object such as a needle. Unfortunately, these workers are potentially at risk of developing hepatitis B or C as well as HIV, herpes, tuberculosis or malaria. The CDC also indicates that as many as 20 other pathogens can also be transmitted via a needle stick or injury from a sharp medical/dental tool. With so many work injuries in dental offices and healthcare settings caused by needle sticks, it is very important that employers in dentists’ office do everything possible to help protect employees. Allow sufficient time for staff to see patients. Refrain from transporting loose instruments on trays throughout the office by using cassettes instead. Collisions with a worker carrying sharp instruments may be responsible for as many as 10 percent of needle stick injuries. Use heavy-duty utility gloves to handle contaminated loose instruments instead of patient exam gloves. When proper protocol is not followed, this increases the risk of workers in a dental office experiencing a needle stick and potentially becoming serious ill as a result. If an employee of a dental office does become ill as a result of exposure to toxins or disease at work, the employee may be able to make a workers’ compensation claim to obtain payment of medical costs and lost wages as well as disability or death benefits.